Puttur, Jan 26, 2018 : In a ghasthly accident between KSRTC bus and Hyundai I20 car claims a life and three persons critically injured at Kabaka near Puttur on January 26, Friday. The deceased is identified as Raj Sab Nadaf(32) resident of Panaji in Goa. 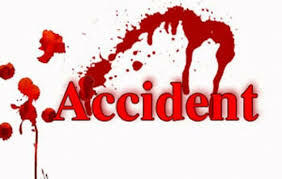 The car driver Rakshith suffered serious leg injuries and the other occupants Paresh and Vaman are said to be citical. Reports said a KSRTC bus on its way to Kasargod from Bengaluru collided head on with the I20 car on its way to Madikeri from Goa. Due the impact Raj was gravely injured, died on the way to hospital , whereas Rakshith, Paresh and Vaman are being treated at hospital in Mangaluru. Puttur police have registered the case. He was my cousin brother son. He recently become Adv. This drivers because of pressure to cover the km drive fast. Why govt is not anything. Either it’s 400 or 600 km how you reach in one night. Think act before it’s some one be in AJ Hospital.